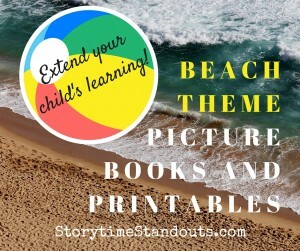 Best suited to very young children, At the Beach is a lovely introduction to the joys of spending a day picnicking, playing in the sand, looking for treasures and swimming. 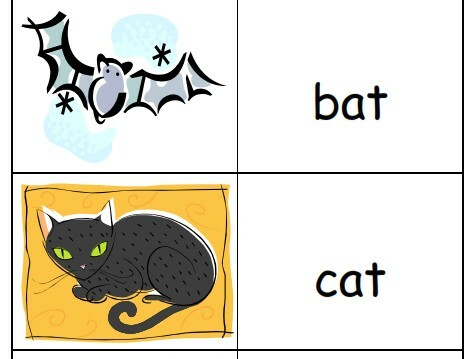 Simple, clear text matches the colorful illustrations and creates an opportunity for learning new vocabulary. 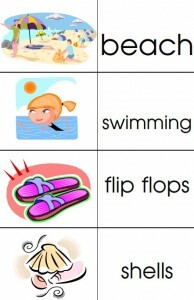 The main characters are a Caucasian girl and her mother however the illustrations depict diverse skin tones among those playing at the shoreline. 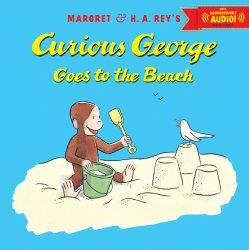 Fans of Curious George will not be disappointed with this fun story about a day at the beach. George and his friend Betsy enjoy playing at the sandy beach, making friends and feeding the sea gulls. Betsy’s reluctance to go into the water could be an opportunity to talk about fear of new experiences. Betsy, her grandmother and the man with the yellow hat Caucasian however the illustrations depict diverse skin tones among those at the beach. Duck is keen for adventure while Goose would much rather stay in familiar surroundings so it is only not surprising that Goose is not keen to go for a hike. 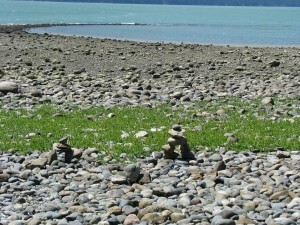 The two friends leave their familiar meadow and eventually arrive at the beach. It is loud and wet and very, very sandy. Vibrant illustrations are a highlight of this engaging story about two friends leaving their comfort zone, enjoying a day out together and then returning to the comfort of home. 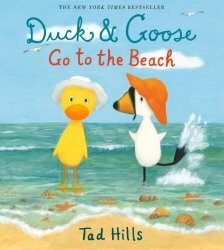 Duck and Goose Go to the Beach is highly recommended for preschool- age children. A wonderful follow-up to a day at the seashore. In this wordless picture book, we join a boy and his family as they spend a day at the beach. Clearly an enthusiastic scientist, he arrives equipped with binoculars, a magnifying glass and a microscope. As he searches for interesting ‘flotsam’, a huge wave crashes over him and leaves an old underwater camera just above the waterline. The boy races to a nearby shop and waits as the film is developed. When handed the photos, he can’t believe what they reveal. Flotsam is truly a ‘treasure chest’ of visual delights. Scaredy Orville Squirrel whose initials are S.O.S. is an immensely popular character in an equally popular series of picture books. In Scaredy Squirrel at the Beach Scaredy the worrywart is very careful to avoid any sort of real or imagined danger. Rather than encounter pirates, jellyfish, seagulls and sea monsters, he decides to create his very own private backyard beach paradise. After carefully constructing his safe haven, Scaredy realizes that, although his beach “look” is great – his backyard just doesn’t sound like the real thing. The only solution is “Operation Seashell” – a carefully planned and executed mission in search of a seashell that will provide crystal clear ocean sound. 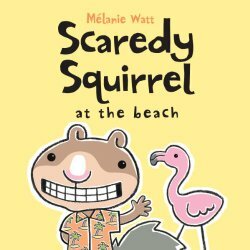 Featuring detailed descriptions of Scaredy’s beachware and plans for his mission, Scaredy Squirrel at the Beach will be enjoyed best independently or in a small group or one-on-one read-aloud setting. Best-suited to children five and up. “Do you think there are sharks in the sea?” asked Sam. 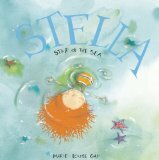 “Just a little one,” said Stella, “with an eyepatch. “Not just this minute,” said Sam. 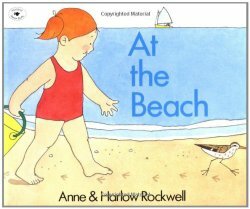 Gorgeous illustrations together with text that beautifully depicts the two siblings will have young children longing to visit the seashore and discover all the wonders of a leisurely summer day filled with digging in the sand, fishing, beach combing and, eventually, a swim. 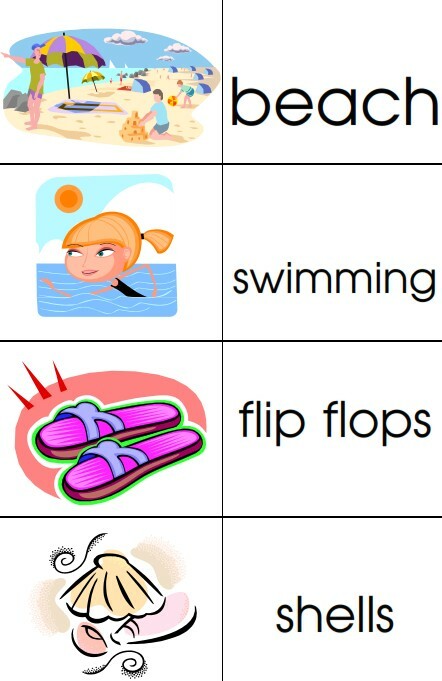 Tip Tap Went the Crab features bright and colorful illustrations along with repetitious text that includes alliteration and onomatopoeia. When a crab decides to leave her small rock pool to explore the ocean she encounters one seagull, two sea lions and three starfish. 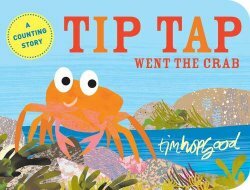 A great choice for toddlers and preschoolers, Tip Tap Went the Crab provides a great reminder that books for this age group can (and should) include rich language and fun, detailed and appealing illustrations. It is well-suited for a classroom or library read-aloud session. When a young girl arrives at a beach, she is filled with enthusiasm and dashes forward, stopping just short of the beautiful, frothy blue water. She hesitates on the sand, pausing, leaning as she is drawn toward the ocean. Suddenly, the character of the water changes. Worried, she tentatively shifts backward, her steps mirrored by a group of friendly gulls. As the waves reverse and retreat, our young heroine stands on her tip toes and challenges the salty water. Before long, she leaps into the dancing waves, joyfully kicking and splashing until an enormous wave erupts. The powerful crest leaves her sodden but excited when it deposits a bounty of shells on the sandy beach. 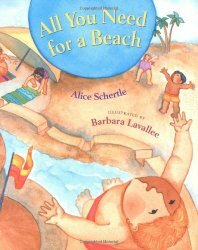 Children and adults will revel in this playful, wordless celebration of a day at the beach. Gorgeous illustrations were created with charcoal and watercolours. Suitable for all ages. 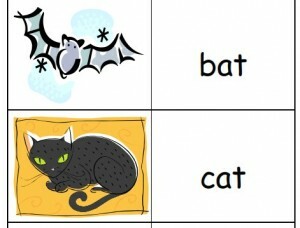 Free printable, fun action chant for preschool and kindergarten. 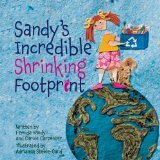 This breezy, empowering picture book includes colourful collage illustrations made from natural and recycled materials. Suitable for children aged six and up.